Last weekend we spent a night in Bendigo, the main reason to go was that one of our very dear friends was turning 50. There was a big party being planned at her home, everyone was invited except us. 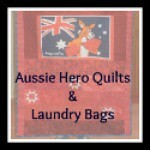 But we were sneaky and had told her we would not be back in Australia until the "end of March", so no invite was in the mail. Little did she know that we had made arrangements with her family and friends that we would be there...... what a surprise for her and what a great night it was for us! 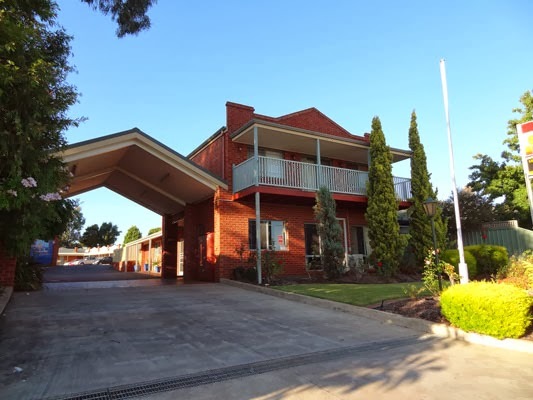 Bendigo is not even one and a half hours from Ballan, so a nice overnight trip. 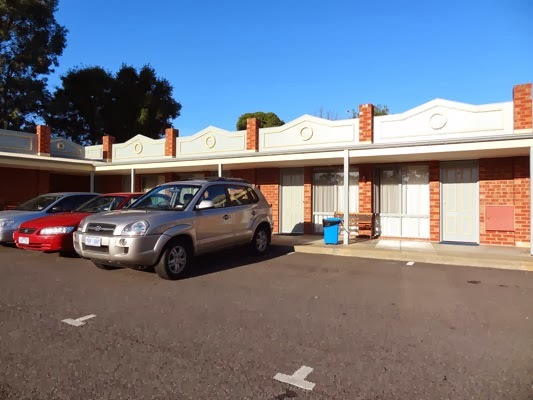 above image is the front entrance to the Golden Reef Motor Inn - a member of the Sundowner chain. 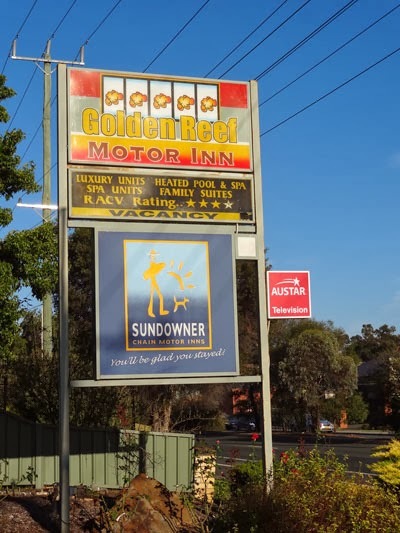 We stayed at the Golden Reef Motor Inn - a member of the Sundowner chain. Our visit to the Motor Inn was not an 'invited' social media event, but rather our own personal choice. 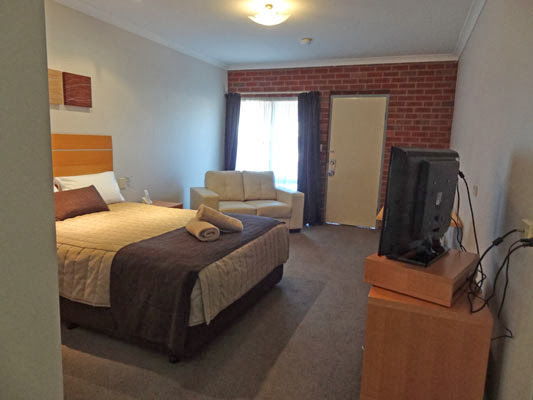 We were impressed with the cleanliness of our room - which was just a basic double - and all the extra little things that made this Motor Inn a good choice. 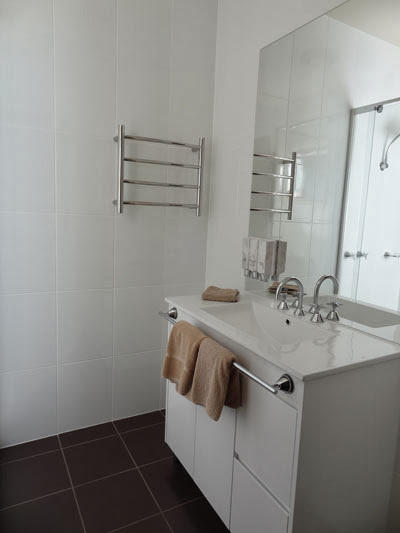 There was the Queens sized bed, tea and coffee making facilities, a small refrigerator, small table with two chairs, a small 1.5 seat sofa, TV, plenty of hanging space, an iron and ironing board, a well appointed bathroom. Extras that we were not expecting were the hairdryer, the can of fly spray, the over head bedside lighting and the mugs for coffee as well as the cups and saucers. 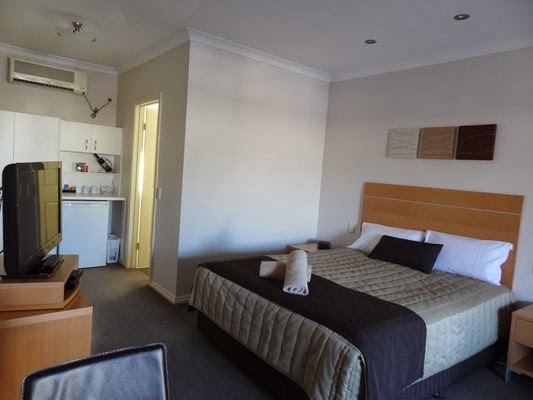 The internal lighting - as usual with motels - was very poor, with one main light over the bed and one light where the tea making facilities are. 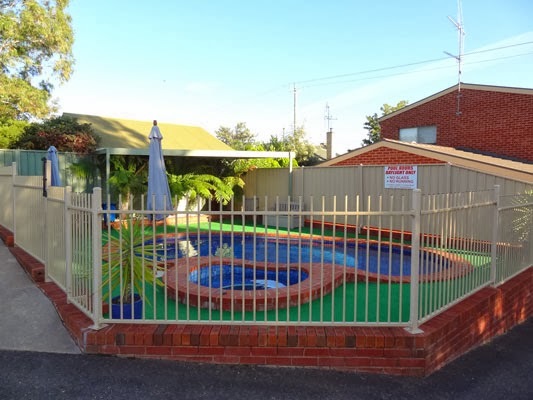 This is an ideal Motel / Motor Inn for business men and families with plenty of car parking available. The bathroom was small but adequate. 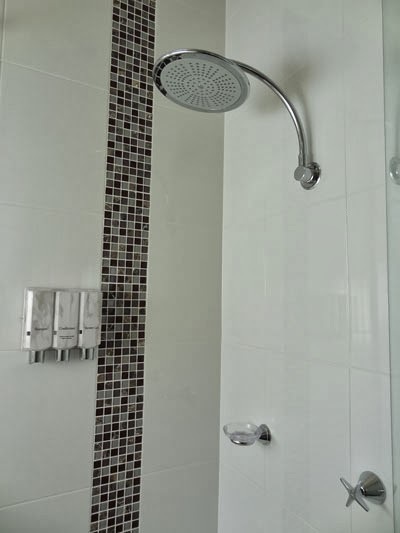 We are used to the larger sized showers and bathrooms in hotels. Main thing was that it was clean! The swimming pool was extra small, in fact barely large enough to be called a "swimming pool", but then we are used to the wonderful resorts of Asia with multiple pools attached to the hotels, so we shouldn't 'judge' the size of them here. Though it still was extra small by any standard! 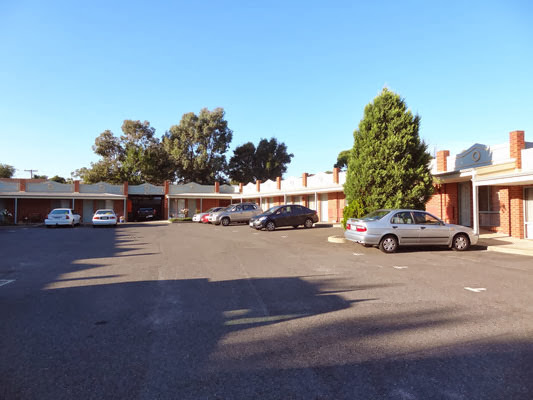 Like I mentioned above, it is a well appointed Motor Inn with good staff and would be an excellent place for families and business people to stay. We hope to return in the next couple of months as we are intending to see the Grace Kelly exhibition that is being held in Bendigo. please note we are available for any Social Media work. Be it bakeries, restaurants, wineries, cafes, coffee shops, or anything that needs to have some focus and would be of interest to others! !